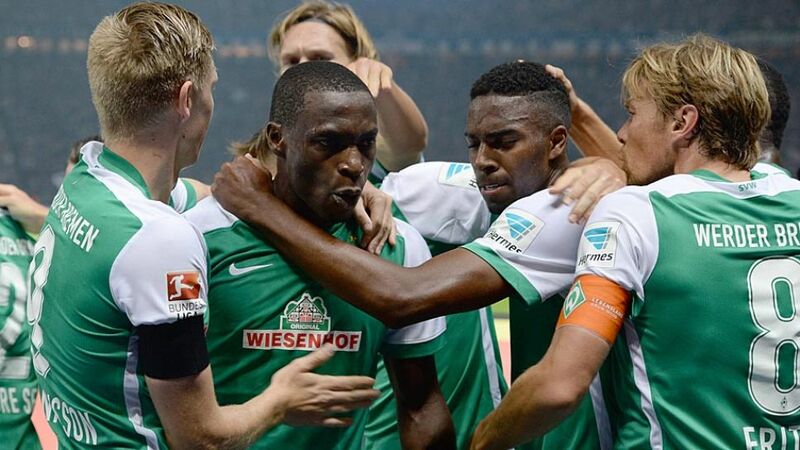 Berlin - SV Werder Bremen picked up their first point of the season in the Matchday 2 opener on Friday evening, drawing 1-1 away to Hertha Berlin, who remain unbeaten so far in 2015/16. The hosts burst out of the blocks at the Olympiastadion and were in the lead inside five minutes when Valentin Stocker finished after Jens Hegeler’s shot had been blocked. Hertha stayed on top for the majority of the first half, but had the wind knocked out of their sales when Anthony Ujah equalised against the run of play. Buoyed by that goal, Bremen increasingly came into the game and new striker Aron Johannsson looked lively in his first Bundesliga start for the club. The visitors went closest to snatching a winner after the break but were twice denied by the woodwork within the space of 60 seconds. It may not have been enough for a victory, but the guests did earn their first point of the season, while Hertha move on to four points. Draws by this scoreline are not usually the most memorable of occasions but this one will have been for one player in particular: Alexander Baumjohann. The technically gifted attacking midfielder spent over a year on the sidelines after suffering two cruciate ligament injuries, but made his long-awaited comeback to a standing ovation when he replaced Salomon Kalou in the 82nd minute. - Hertha’s players collectively covered over three kilometres more ground than Bremen did over the 90 minutes (116.19 km compared to 113.07). - Bremen’s Jannik Vestergaard had more touches than any other player on the pitch (80). - Genki Haraguchi made more sprints during the match than anyone else (30).